We host a range of fireplace designs to suit any type of home. No matter if you're looking for a rustic fireplace to suit an old cottage, or a minimalist sleek design to suit a modern home - we are sure to have a fireplace that's just right for you. Our fireplaces are made from quality materials built to last. All of our fireplaces use high grade materials and are fully compliant with British safety standards. When you choose Chris Robinson, you choose a quality fireplace. We understand that people don't have unlimited budgets. That's why we offer a range of fireplaces to suit most budgets without compromising our standards. You'll be surprised at how affordable a new fireplace can be. Chris Robinson Fireplaces are based in Haslingden and offer services to customers in Rossendale, Lancashire and the Greater Manchester areas. When it comes to fires and fireplaces, Chris Robinson has got the model to suit your lifestyle. From subtle and sophisticated, to something that really catches your eye, you'll be sure to find exactly what you are looking for in our extensive range of models. Chris Robinson offers an extensive range of traditional, classic, modern and contemporary fires and surrounds. You can choose from electric, gas, wood burners or a multi-fuel stove. You then will have a varied choice of fire surrounds to choose from including castirons, limestone, granite, wood and marble. All installations are provided with great care and attention. You may already have the ideal fire for your home but just wish to change your existing surround. Whatever your requirements, Chris Robinson an advise on the best fireplace solution or work to your own design ideas. Chris Robinson offers a full maintenance and repair service to all types of fires even if they were purchased elsewhere. 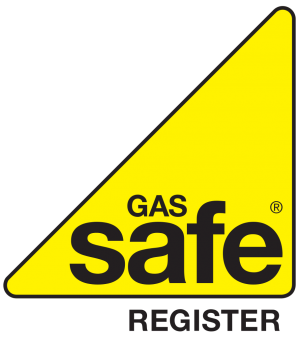 Servicing can include flue flow tests, coals cleaned, burner pressure checks and a general all round clean up of your existing fireplace. Chris Robinson is skilled in the removal, rebuilding and restoration of chimneys and cowls. If you have a problem with your current flue lining or want a better lining installed, then make Chris Robinson your first call. As well as the supply and installation service, Chris Robinson undertakes annual servicing on all existing living flame fires to ensure your fire remains safe and efficient all year round. Call Chris today to schedule an appointment at a time to suit you.